Personalized Wedding Save the Date cards. Beautiful rustic and modern Save the Date cards to send to your wedding guests before you're ready to send your invitations. This is a formal practice for weddings to make sure your friends and family reserve that date only for your wedding. 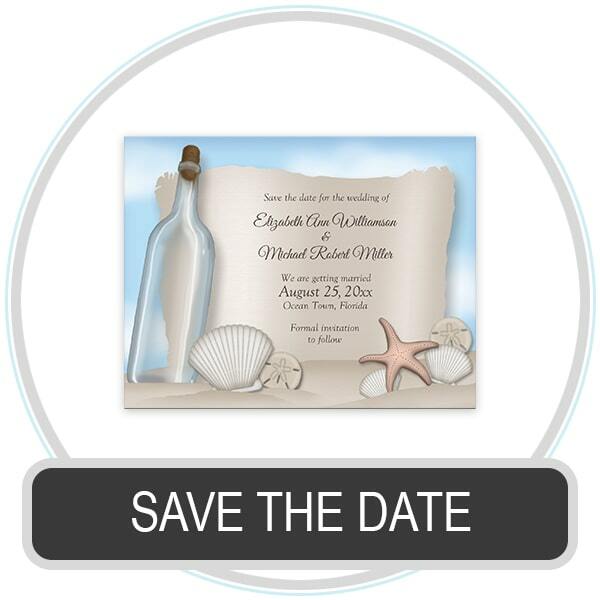 Shop a variety of themes and designs to save the date for your wedding. Browse to find your Seasonal or themed card. Each card has high quality printing on top quality papers, and with free shipping as a worry-free bonus.